Argo Parahyangan train is operated by PT. KAI to serve Bandung - Jakarta route and vice versa. Argo Parahyangan train is a response from PT. KAI to people's protests who feel disappointed because Parahyangan operation was deactivated. Argo Parahyangan train is Argo Gede train series connected with Parahyangan train carriages, which eventually became a new train named Argo Parahyangan train. Argo Parahyangan itself began its operations on April 27th, 2010. The train serves executive (Argo) class facilities with air conditioning (AC). This train used to serve business class also, but on December 30th, 2011, Argo Parahyangan train serves executive class only. 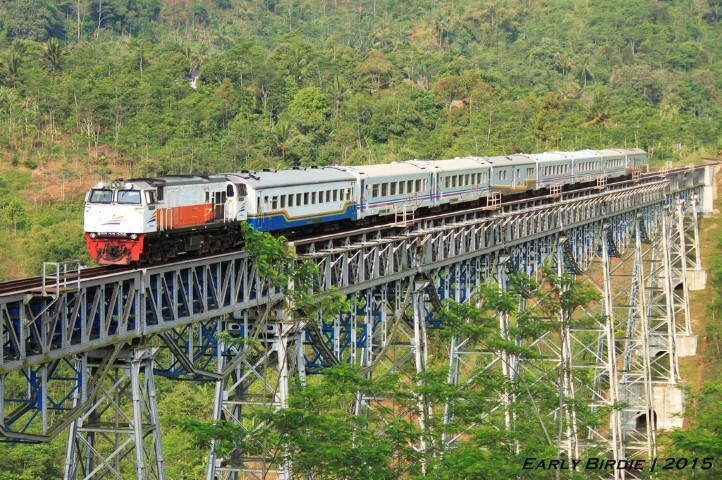 Argo Parahyangan train has six departure times per day on weekdays and seven times on weekends and holidays. This train travels about 173 miles and takes about three hours and fifteen minutes through western route through Priangan Mountain. Scores on a ten-point scaled. Based on 26 ratings.